Another big update comes to iOS bringing a number of the browser tools into the interface, even my favorite, the Create selection tool! As many of you know we also launched Android this week so we will be detailing updates to that platform on the next release cycle. Sketch Text - Add text into sketches for use in features. Silhouette edges (in USE tool) - Convert the silhouette edges into sketches. Create selection tool - Use the powerful selection tool to gather complex selections based on a number of types. This is available in some tools and in the context menu of the graphics area. Hide other/all feature of the same selection - Part Studios and Assemblies now have the ability to hide others of similar type based on your current selection. Show dimensions - Show all sketch dimensions on screen without editing the sketch for viewing like in the browser. 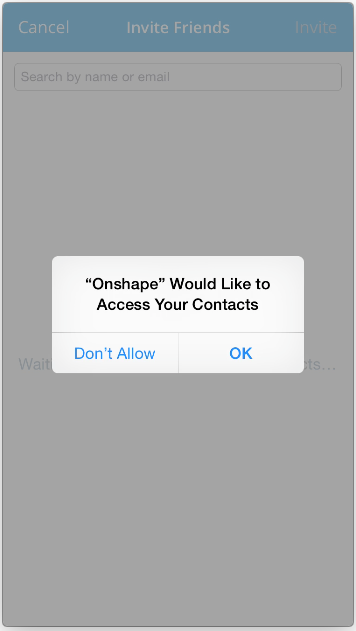 This can be dismissed by double-tapping in the graphics area. 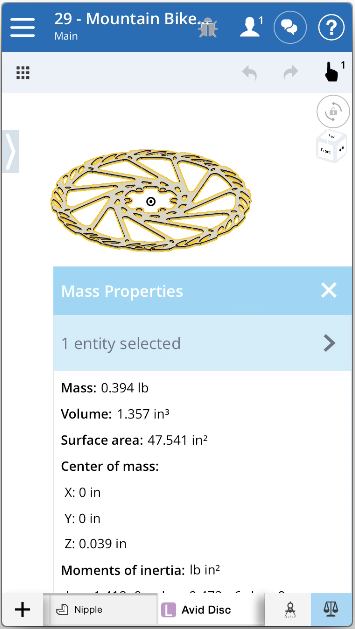 Mass - Mass properties will display the selection(s) mass (materials must be applied on the browser version for now to get mass calculations). 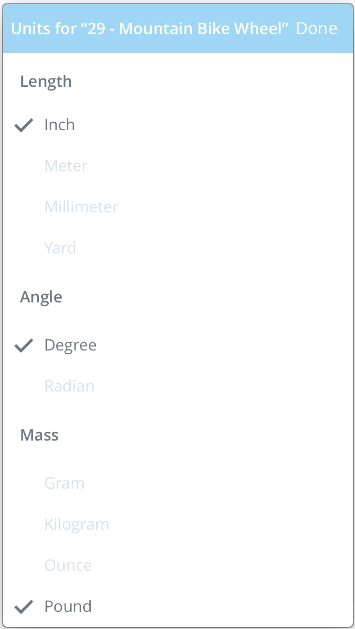 Units can also be set for Mass in the Units dialog. Updated Version graph - Updated the interface to allow scrolling on both this details and the graph itself.